Custom stainless steel floor drain grates and drain covers can be manufactured to meet the specific requirements, installations or replacements. Our team has 20 years of experience designing and manufacturing drains and will help ensure that your grate selection will match the flow volume and traffic conditions for your application. We offer a variety of options such as perforated, bar, subway bar, perimeter gap, slotted, reinforced and custom logo grates. In addition to meeting your individual specifications, grates can be customized to display your company logo or reflect a design of your choice. Logos can be engraved or annealed with a laser, or applied with our color UV printer onto all gauges, in 304 or 316 stainless steel. Any size or pattern can be fabricated. 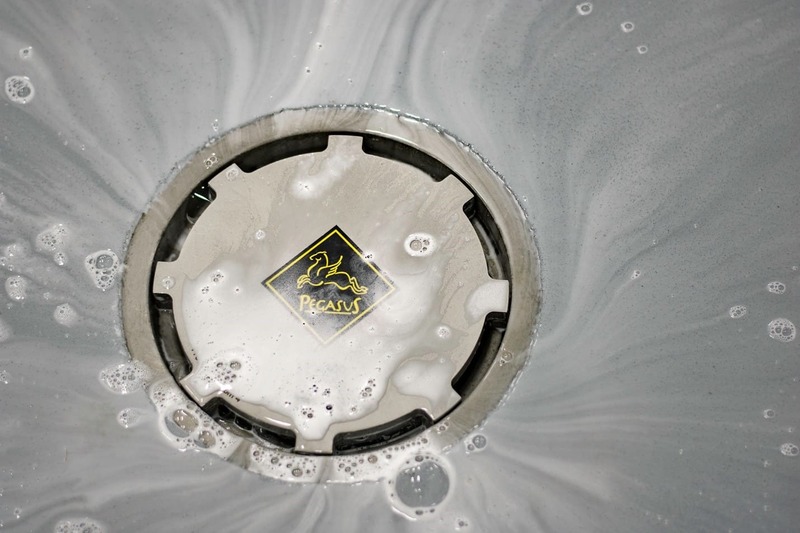 Along with the aesthetic benefits of adding a logo or design to your stainless steel grates, custom engraving or printing can be used to label and identify your drains throughout your facility. This can be useful for keeping accurate records for maintenance and inventory purposes. Designs and logos will not affect the durability of the grate itself and will meet the qualifications for all weight classifications. *Bar grates will have limited capabilities for designs and logos. All of the stainless steel grate products manufactured by StainlessDrain.com are made in the U.S. at our Texas plant, allowing us to control all aspects of production. As a result, we are able to offer competitive prices on both custom and standard grating. Additional grate types can be found in our catalog.